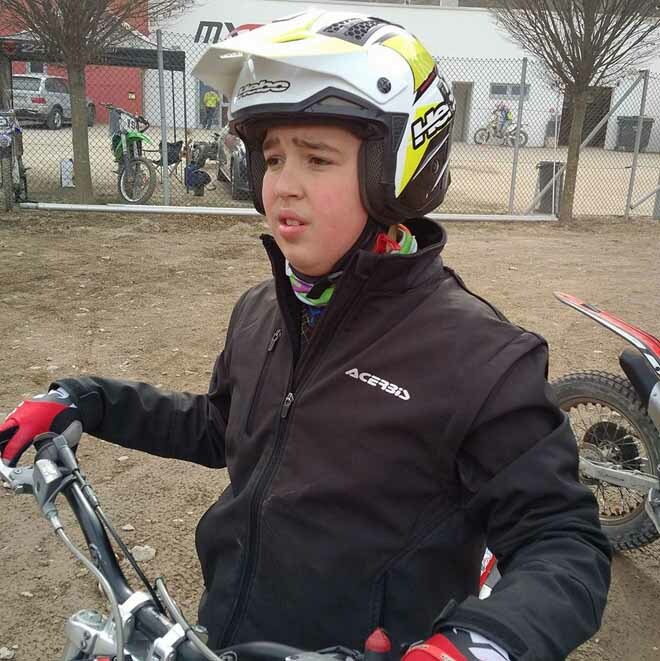 Recently a story of an autistic boy who uttered the first words, after being burnt with the muffler of a trial bike was broadcast on television and was reported in the weekly Sette. It's 13 years old Michele Oberburger. About 4 years ago, recommended by friends of this field, his father Roberto accompanied him into the permanent Trial structure of Pietramurata to make a try. It was love at first sight. With little progress, Michele started with an electric bike, then move on to a 80cc petrol engine with gears. 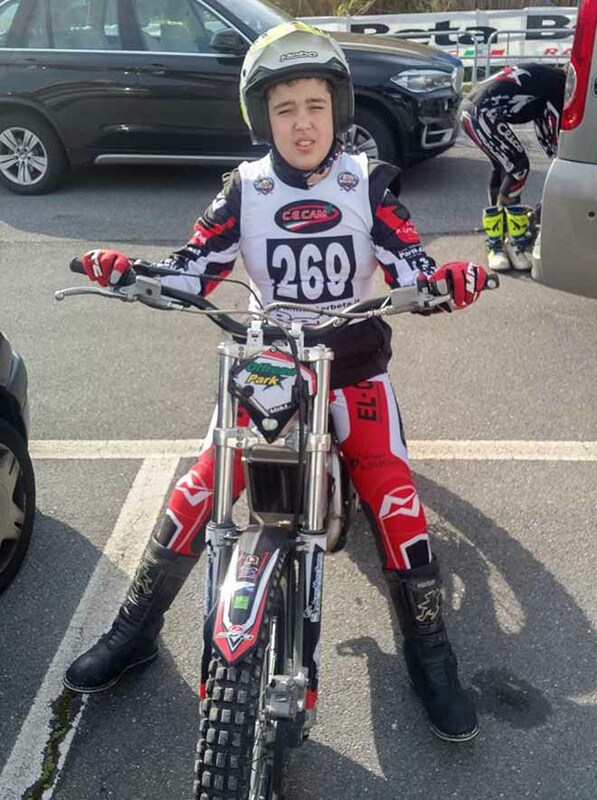 Measure out the gas, pull the clutch are not natural things for an autistic child, but the passion that has been unleashed in him gave him the necessary strength. 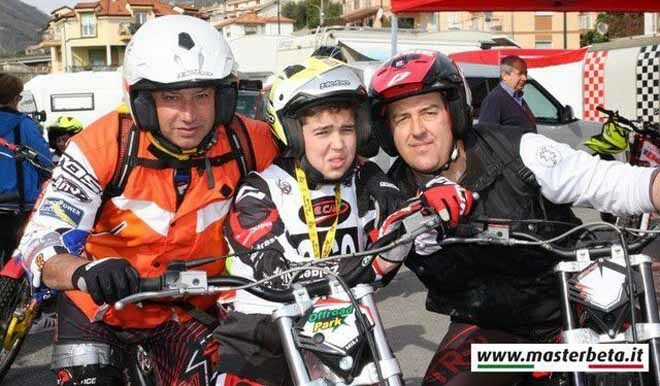 Last year he competed with a regular license riding a 125cc in Italian Beta Trophy and in Veneto regional championship . His father is his minder and knows how to encourage and advise him in the sections and in the loop. It is not the first time that Trial stands as a rehabilitation tool. A different application, but equally effective was the one tempted with positive results by Norwegian professor Anders Minken, now chairman of the Trial Commission in FIM Europe . In the 80s he had involved "street children" of his country, which was already leading in trying to recover rather than giving punishment to the “bad guys”. At some of them housed in a community of former toxic and former youth alcoholics, he taught how to move their first steps on a trial bike. Assuming that the motorcycle (at that time ...) was always into the dreams among adolescents and that no one of those children could afford it, imagine how the course was immediately appreciated. And among the motorcycling disciplines, which one presented less danger? But more, Trial also differs because it is easier to put on small goals, and then achieve them. The instructor had just to make sure that everybody, from scratch, could see some improvements. Today we could say to increase their self-confidence. It was important to make them feeling able to complete positively their targets, which in this case could be overcome a small rock with two movements of gas and legs. We would like to clarify that we are not comparing the autistic boy to the marginalized of the Nordic societies, we only point out that there is a common denominator, called Trial, as precious tool to insert or re-insert people into society.